How do I add media files in a slide? 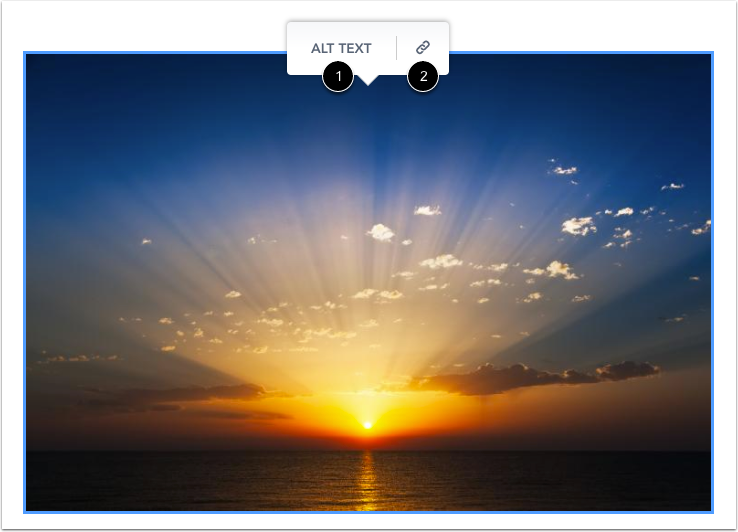 You can add media content when adding content to a course slide. Select the slide where you want to add your media. In the toolbar, click the media icon. In the paste URL field , you can paste a URL (must be https) for your media file. 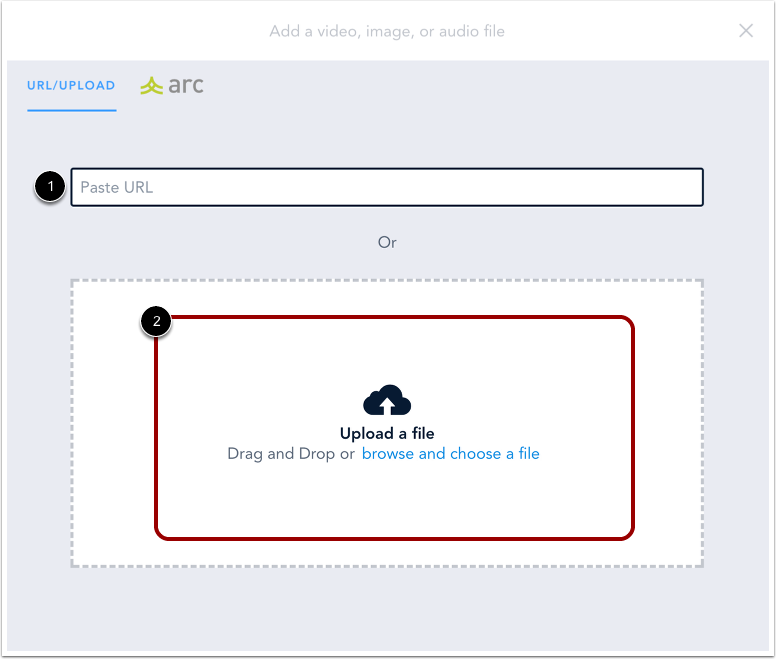 If your file is located on your computer, you can upload your supported media file, or you can directly drag and drop the file from your desktop into the File Upload field . 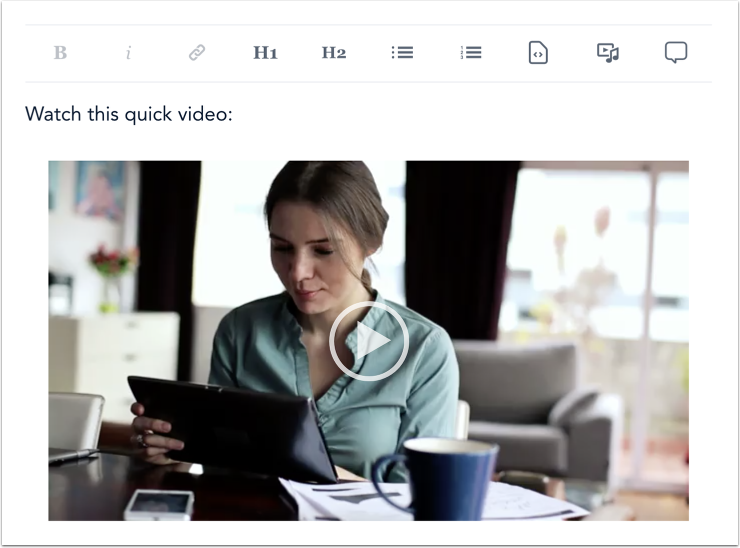 Note: If you add videos, images, or audio clips, they will be embedded in the slide. If you add any other kind of supported file, it will display as a file attachment. 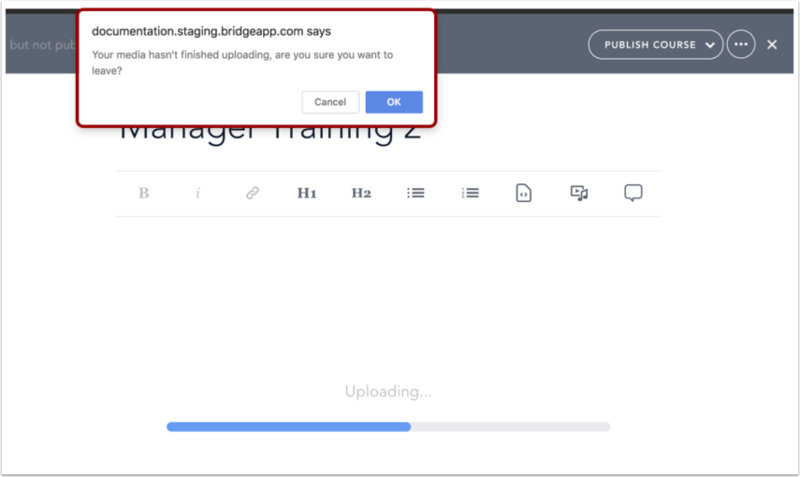 If you navigate away from a slide before the video has finished uploading, a popup window will be displayed with a warning message. Click Cancel to remain on the current slide to allow the video upload to continue. Click OK to cancel the video upload. To add alt text or a link to an image, click the image and click the Alt Text link  or Link icon . Note: Alt text and links cannot be added to audio or video files. View your media in your slide. Previous Topic:How do I create a hyperlink in a course? Next Topic:How do I add an attachment to a course slide? 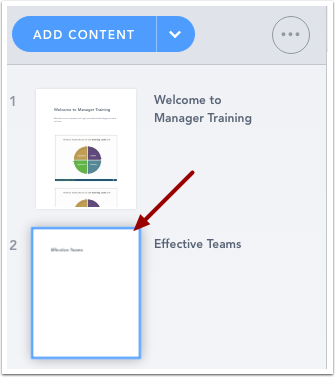 Table of Contents > Manage Courses > How do I add media files in a slide? How do I create a hyperlink in a course?